Come see this wonderful and spacious condominium on Hurstbourne Ridge, conveniently located off Hurstbourne Parkway with easy access to Taylorsville Road and I-64. You will absolutely love the built ins, crown molding, neutral colors and new flooring in this over 2,500 square foot unit. This home features an new air conditioner (two years), two gas fireplaces, a newer water heater (three years), and a covered, private deck with a pleasant view. The kitchen opens effortlessly to a wonderful dining area and features new stainless steel appliances (to remain), beautiful cabinetry and recessed lighting. Just wait until you see the splendid master suite with two spacious closets and a Jacuzzi bath. This unit offers a one-car, attached garage and plenty of additional parking close by. Direction: I-64 to S. Hurstbourne Pkwy, right on Ridgehurst, right on Hurstbourne Ridge, property on your left. Hurstbourne Ridge is a subdivision within the city of Louisville, Kentucky. 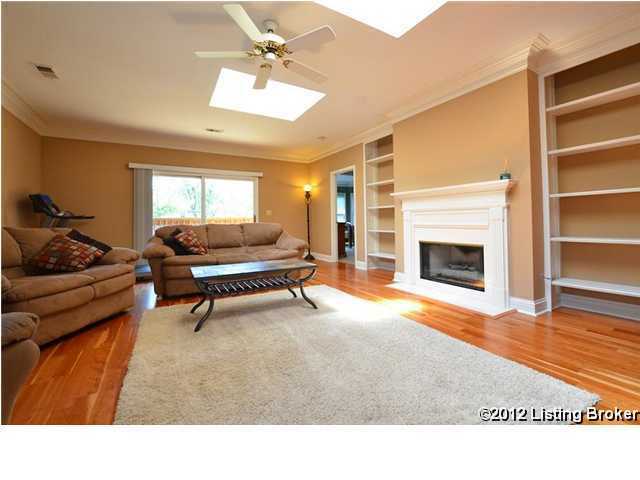 There are currently 1 Homes for Sale within Hurstbourne Ridge, with asking prices ranging from $245,000 to $245,000. The average list price per square foot of the available inventory in Hurstbourne Ridge is $94, which is below the Louisville average of $156. The Average Sales price of all sold real estate in this subdivision for the past year is $201,518. Recent comparable homes have been selling for 96.97% of their asking price. Waterfront homes represent 0.00% of the available Hurstbourne Ridge inventory. The population of Louisville, according to the 2010 Census, is 597,337. The total number of households in the zip code of Hurstbourne Ridge is 15,222, with an average household size for of 2.51 people. The total number of renter households within the zip code of 40299 is 3,033, which means that 80.07% of households in this zipcode are owner occupant households. 3724 Hurstbourne Ridge Blvd, Louisville KY 40299 is a Condo, with 3 bedrooms which is recently sold, it has 2,524 sqft, 0 sized lot, and 1 Car Garage,Attached parking. A comparable Other, has bedrooms and 0 baths, it was built in and is located at and for sale by its owner at $ 0. This home is located in the city of , in zip code , this County Other, it is in the Subdivision, and WATTERSON WOODS are nearby neighborhoods.